You’ve taken care to find artist-made jewelry pieces that perfectly complement your unique style and personality—now to make them last. But where to start? 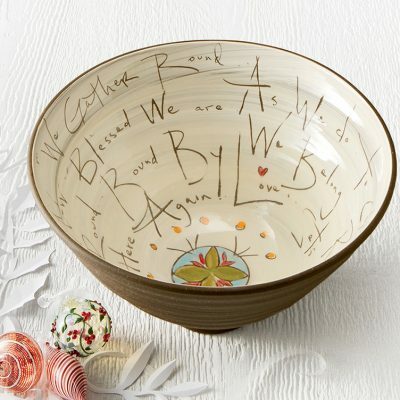 The internet is rife with competing information about how to best care for materials like polymer clay or coral, from proper storage to cleaning practices and everything in between. 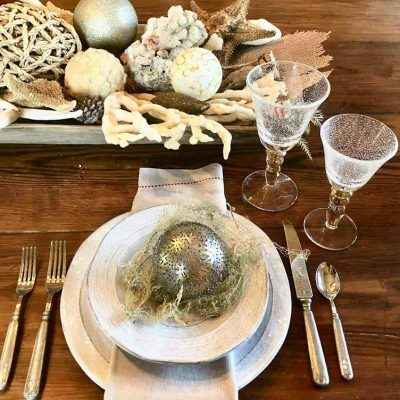 So, to cut through the noise, we consulted some of the talented jewelry artists who sell their work on Artful Home, asking for their expert dos and don’ts on how to ensure your extraordinary new treasure can remain a beloved keepsake for years to come. 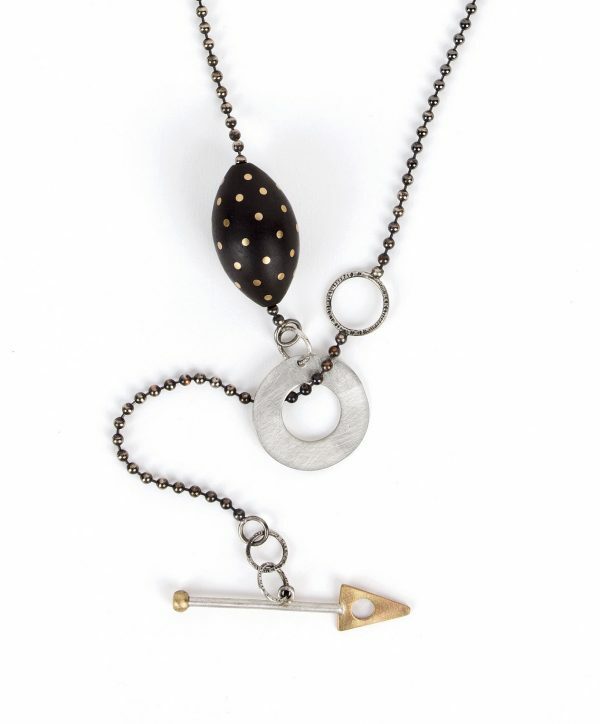 Suzanne Linquist’s striking adornments, like her Spotted Ebony Lariat, combine ebony and precious metals in an easy-maintenance design. Wooden elements add organic appeal to adornments, and the material is typically very easy to maintain—with the right tools. 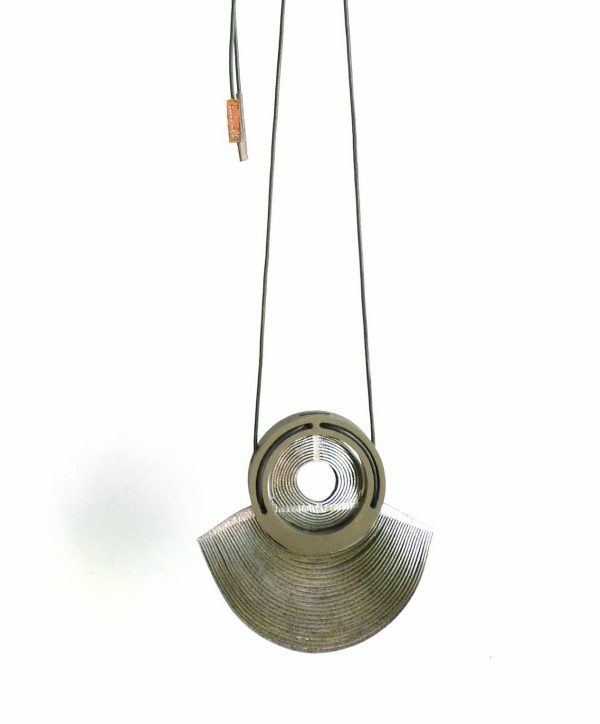 Jewelry artist Suzanne Linquist offers up two methods for cleaning the ebony in her pieces: dry and wet. For the former, she notes that a brass brush used by professional jewelers is optimal, as it will both clean and polish. If you’re unable to track one down, a good substitute is a stiff-bristled toothbrush, though it may not have the same polishing properties as the brass. To add a sheen to your wooden adornment, she recommends buffing with a finest-grade steel wool, usually marked 000. With the wet method, remember: never soak your wooden piece in water. Instead, dip a toothbrush into a solution of water and dish soap (Linquist recommends Dawn) and gently scrub. When finished, blast with a hair dryer to ensure no water remains—the goal is to minimize the amount of time your wooden piece is exposed to moisture. Ultrasonic jewelry cleaners may be tempting, but they should be avoided in the cleaning of wooden jewelry. Steer clear of brushes with extremely stiff bristles; these may leave scratches in your adornments. 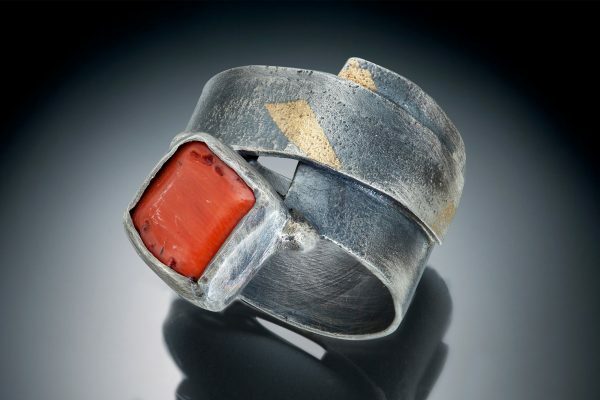 Coral jewelry, like Nina Mann’s Coral Ring, should be cleaned properly to ensure it lasts a lifetime. While we’ve come to know coral for its wide range of hues and robust texture, the variety commonly used in jewelry is known as precious coral, a genus that boasts a vivid red color and is often buffed into high-shine beads or cabochons. Similar to gemstones like opals, coral—composed of calcium carbonate deposits—is extremely soft and prone to wear. But with the appropriate care, you can ensure your piece will make a lasting impact: simply wipe with a soft, damp cloth and allow to dry completely before storing. Ironically, considering the material’s origins, you should not soak coral in water. 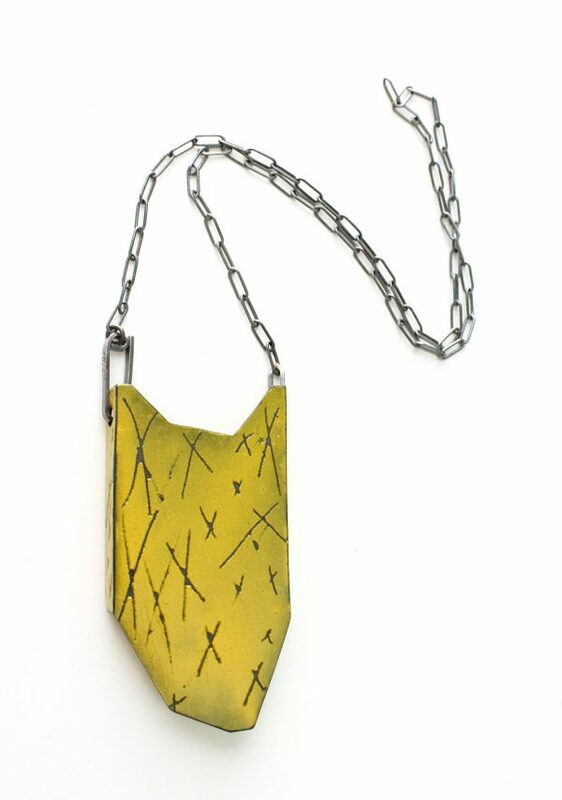 Karole Mazeika advises owners of leather jewelry, like her Mirage Necklace, to care for their pieces the same way they do their leather apparel. Leather: when it comes to adding a dash of playful edge to artist-made jewelry, little tops it. Caring for leather-based or -accented adornments is relatively straightforward: just remember how you might treat your favorite leather jacket or pair of shoes. Spot clean with a slightly damp towel, says artist Karole Mazeika, and store in a dry location away from direct sunlight. 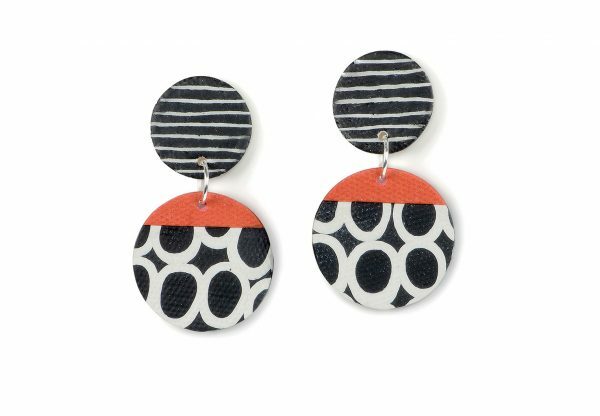 With its durability and ease of wear, polymer clay is a favorite among jewelry artists for its chameleonic ability to take on new shapes, as in these graphic Vicki Earrings from Klara Borbas. A relative newcomer to jewelry, polymer clay has quickly become a favorite among artists for its bold color payoff and ability to be molded into myriad shapes—and that’s not to mention its durability. As such, the material does not require extreme caution while cleaning. Artist Klara Borbas recommends brushing with toothpaste and rinsing with warm water, while other polymer clay experts note that a gentle scrub with soap and water should remove grime. Although polymer clay is durable, it can still be chipped, scratched, or broken, so practice caution when handling and wearing. The striking Folded X Pendant Necklace from Kat Cole is exceptionally simple to clean: simply wipe with soap and water. The tradition of enameling extends as far back as 13th century BC, in Cyprus, but contemporary artists continue to innovate with this ancient jewelry-making practice. Essentially powdered glass fused to metal, enamel adds colorful flair to adornments and, like glass, it can easily break if not handled with care. To clean adornments featuring larger swaths of enamel, simply wipe with a soft, damp cloth and dry completely. For pieces with small enamel insets—such as cloisonné—other sources recommend cleaning with soap, water, a brush, and a gentle touch. 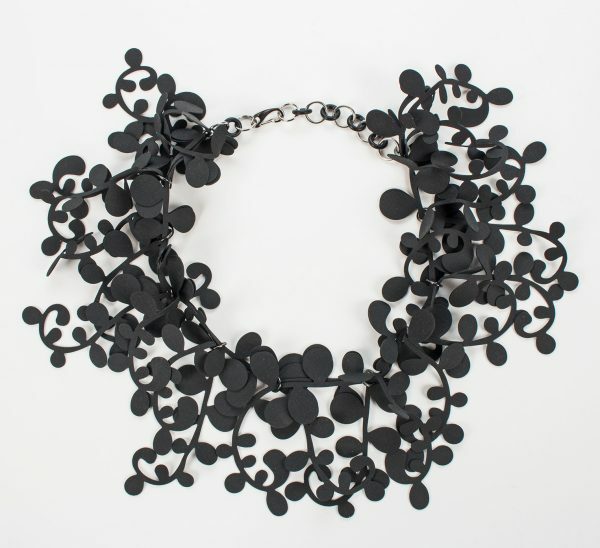 An unexpected material with artful results, rubber adds edgy flair to handcrafted adornments—and pieces like Kathleen Nowak Tucci’s Marie Necklace are so easy to maintain. 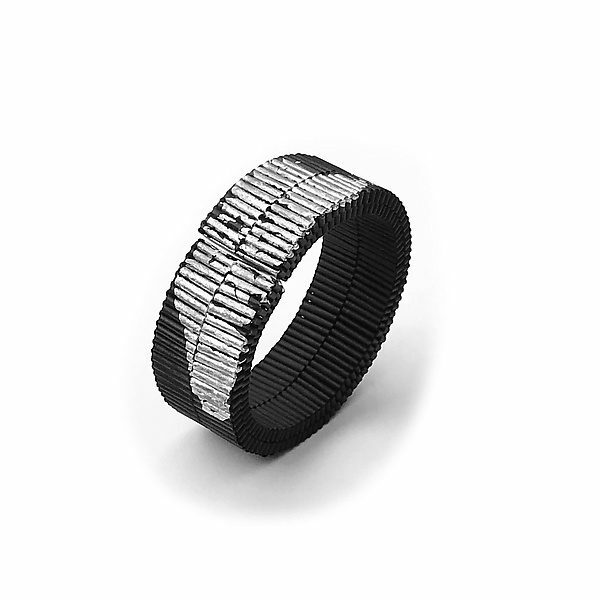 “Rubber [jewelry] is mostly carefree,” says artist Kathleen Nowak Tucci. But the material isn’t without its enemies. The top two? Heat and intense sunlight. 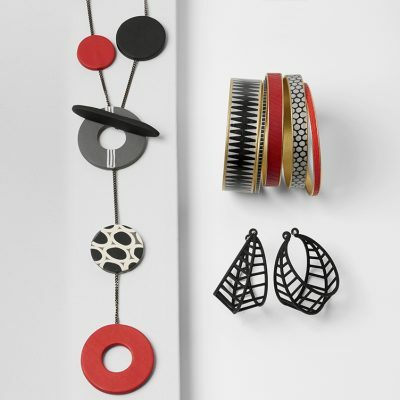 While Tucci notes that damage to the material would only result from long-term exposure to both, she says that rubber jewelry is best stored in a cool area removed from light—think a jewelry box or bedside table drawer—and not wrapped in plastic. To clean, use an oil-free makeup remover or wash with liquid soap and lukewarm water, and dry thoroughly. Sometimes, rubber elements may start to look dull; Tucci says that a tire shine product, like Armor All, can be used in some circumstances to restore its look. If your piece is new rubber, apply to your jewelry, wait several minutes, then wipe off the excess with a lint-free towel. But if your piece is made from recycled rubber—like the rubber fabric that’s become Tucci’s specialty—she advises not to use these products because of the fabric’s unique properties. Also, be sure to avoid petroleum products or vegetable oils when conditioning your pieces. 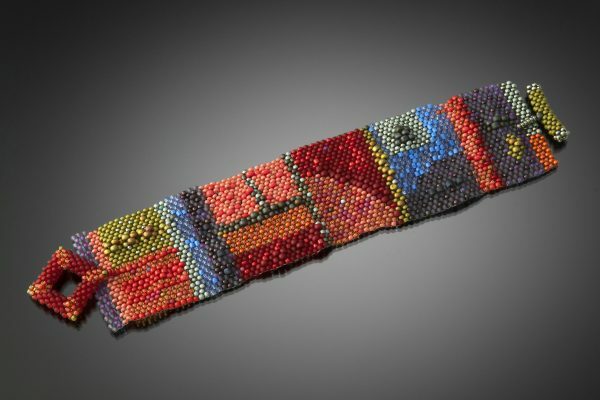 Even the smallest glass seed beads, like those in Julie Powell’s Diebenkorn Cuff, should be worn with care to ensure they do not crack or scratch. Glass may have a luminosity similar to that of gemstones, but don’t let that fool you—glass is a relatively soft material that can scratch or crack if not treated with care. Be sure to avoid strenuous activity while wearing glass-beaded jewelry, and clean with soapy water. Just remember not to soak your piece—if the beads are strung upon a cloth thread, moisture can weaken the fibers. Preserve the life of your silk jewelry, such as Mieko Mintz’s Vermilion and Black Kantha Necklace, the same as you would a favorite blouse: dry clean or gently wash. Consider how you might launder a favorite silk blouse, and follow suit with your silk jewelry. 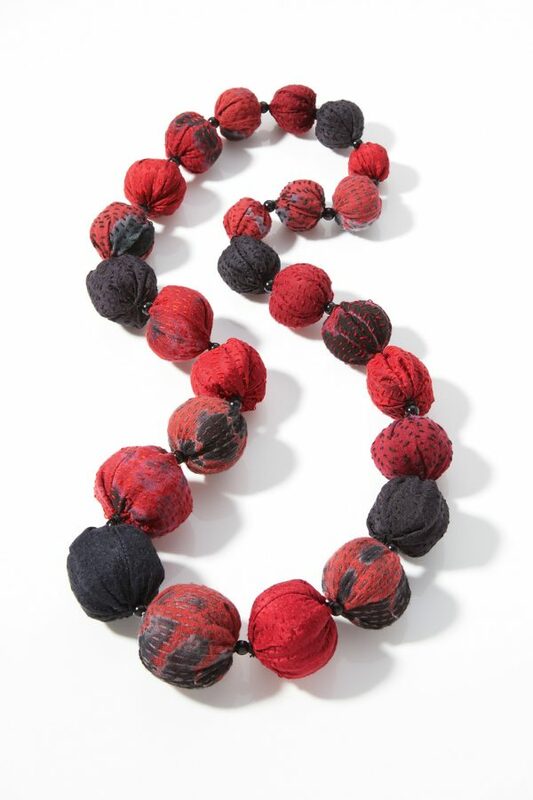 Renowned designer Mieko Mintz recommends that her unique necklaces made from vintage sari fabrics be dry cleaned. But, if you must launder at home, gently hand wash your piece in cold water, delicately press between towels to remove excess moisture, and hang until completely dry. Coated with a water-resistant finish, Francesca Vitali’s Molla Bracelet is crafted from folded paper—an intriguing material that should be protected from extreme moisture. 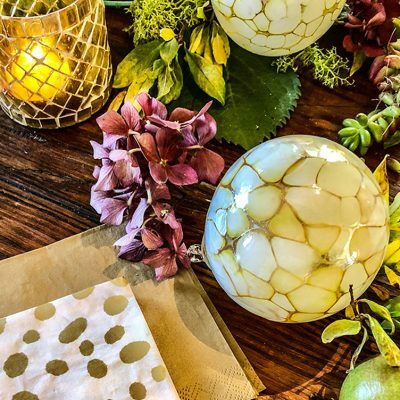 While most paper adornments available on Artful Home have a protective coating to guard against moisture from skin, it’s best to avoid getting them wet—that means no showers or dish washing duty while wearing your paper pieces, says artist Francesca Vitali. To clean, simply wipe with a damp—not wet!—cloth and dry thoroughly. If you find yourself with a soaked adornment, allow your piece to dry for several days on a flat surface before wearing. * Avoid wearing jewelry in swimming pools or hot tubs, as the chemicals in both can damage your pieces. As a general rule, remember to remove your jewelry before engaging in strenuous activities or labor. * When storing pieces for the night, separate them into individual jewelry box compartments or pouches to reduce the possibility of tangles, rubbing, and wear. Travel with your adornments tucked inside a jewelry roll rather than tossing them all in the same toiletry bag. * Take stock of all materials in your piece of jewelry before cleaning: while one cleansing method might work for the 22k gold setting, it may not be appropriate for a coral focal point or oxidized sterling silver ear wires. * Have your jewelry insured—after all, it is a work of art. Some homeowners and renters insurance policies provide jewelry coverage up to a particular dollar amount; even so, depending on the value of your adornment, you may want to add a separate rider to your policy.